Those of you familiar with Easter celebrations have probably heard of Ash Wednesday. And if you’re an Aussie kid, you’ve definitely heard of Shrove Tuesday and ate pancakes for breakfast at school to celebrate; Mardi Gras, which translates as “Fat Tuesday,” is the same thing as Shrove Tuesday, falling the day before Ash Wednesday. GREAT, BUT WHAT DOES THAT HAVE TO DO WITH THE PARADES AND PARTIES THAT GO ON IN NEW ORLEANS? – Ash Wednesday = the first day of Lent. – Lent = the 40 days leading up to Palm Sunday during which practicing Catholics often give up something they usually enjoy (like chocolate or their favourite TV show) as a symbolic act of repentance and fasting. – Palm Sunday = the Sunday before Easter, the first ‘celebration’ day of the season after the 40 days of fasting. AND THE TUESDAY THAT IS MARDI GRAS? – Mardi Gras = the last day before the 40 days of fasting and repentance begins. The celebration of Mardi Gras in New Orleans is basically rooted in the idea that if you’re going to be fasting and repenting and behaving for the next 40 days, why not overindulge in good food and booze and party like a maniac the night before?! OK, SO WHAT’S THE DEAL WITH THE PARADES NEW ORLEANS HOLDS TO CELEBRATE? 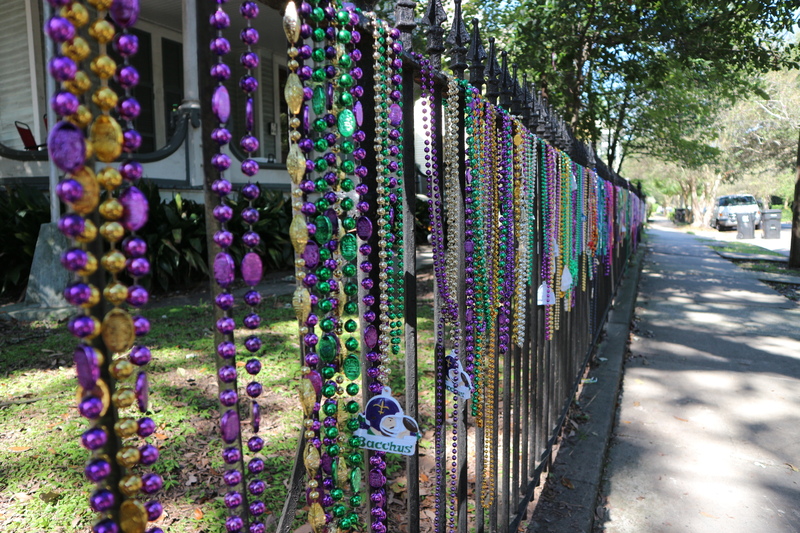 No doubt you’ve seen photos or footage of the apparent carnage that is Mardi Gras in New Orleans; it’s actually a lot more organised and symbolic than it may first appear. To understand that, let me go back a bit and explain the ‘who’ behind the parades first. Parades are organised by krewes, which are essentially social aid clubs. Membership is incredibly prestigious, can be quite pricey, and members take enormous pride in the events they organise and partake in. The New Orleans Tourism Marketing Corporation kindly list the city’s krewes on their website if you’d like to see read a little more about them. The parades you see, with the big floats and costumed marchers are the culmination of what is usually 12 months work from the members of the city’s krewes (as in, once Mardi Gras is over, they start working on next year’s almost immediately). 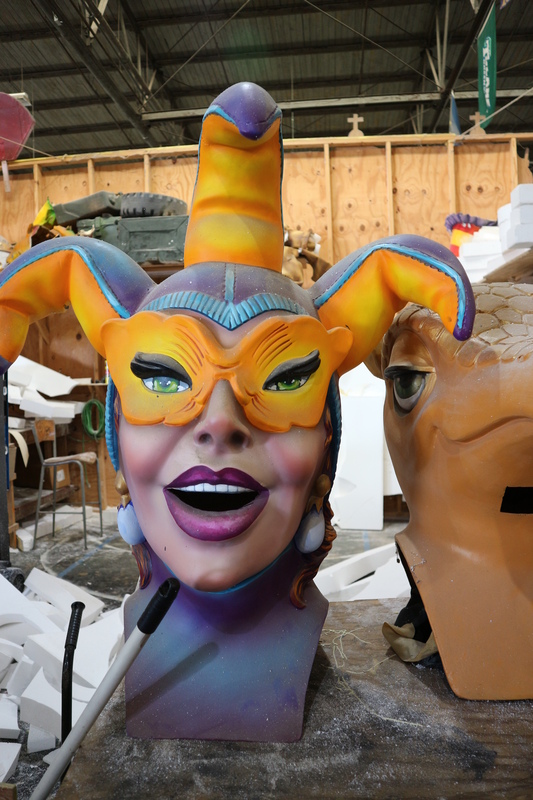 They commission and finance the floats and costumes, spending endless hours working on them, and the end result is those visually overwhelming parades. And the parades are fabulous, but knowing more about the work that goes into them has given me a much bigger appreciated for it all this year. 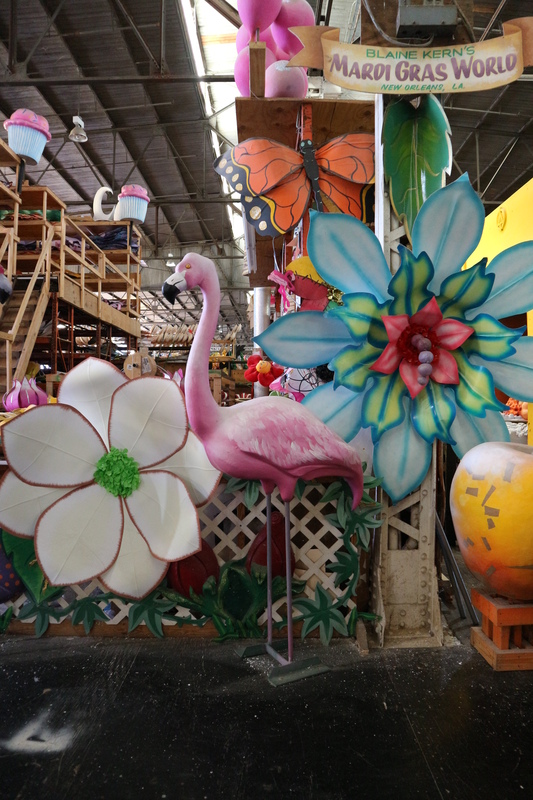 – The large floats are owned by individual krewes and are stripped each year and re-decorated with new pieces. 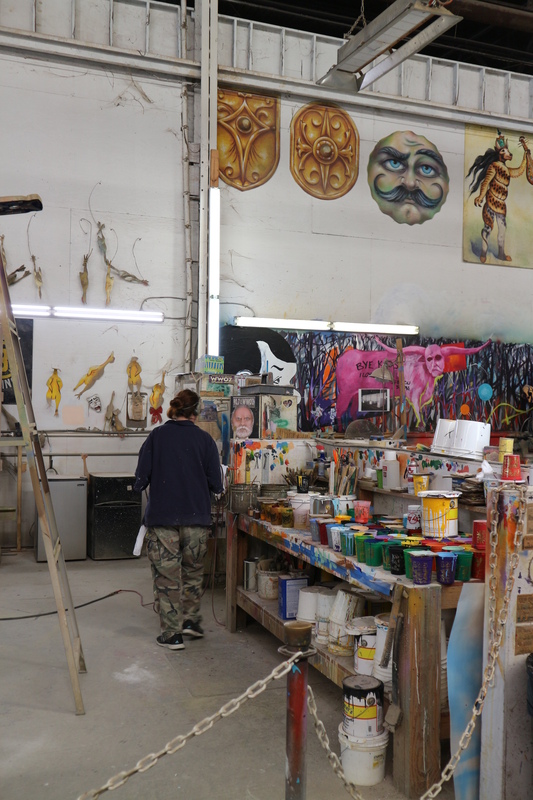 – Old props are kept at the warehouses to potentially be re-decorated and re-used by other krewes. 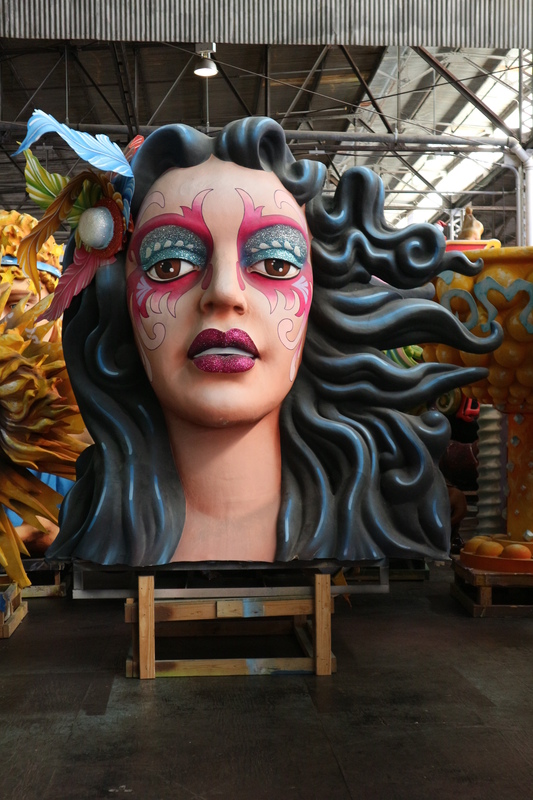 – To create the pieces adorning the floats, the artists use a lot of old school papier mache over polystyrene, which they then paint over. – There are around 60 odd krewes that each hold a parade over Mardi Gras period – that means 60 different floats and costumes for every. Single. Parade. In a city as big as New York and a stomach that can only physically expand so much, it’s impossible to eat everything. So, in order to save precious gut real estate for the good stuff, let me run you down the goodies you need to save space for when you visit. Not particularly cheap at USD$4.00 but they’re the size of grapefruit, FULL of melty chocolatey and nutty goodness, and can you really put a price on happiness? If you want to eat in, get there early or prepare to wait around – it’s a tiny space, so it fills up and the line ends up out the door pretty fast! This is one of the classics of NYC, and there’s a good reason for that. Family run for several generations, they’ve served everyone from Harry & Sally to NYC Mayor de Blasio and Senator Bernie Sanders (I know that because they were sitting at the table next to us a few weeks ago!). And if the USD$22.00 price tag puts you off a little, remember how much you’d pay for that much meat at a BBQ place – just because its between bread doesn’t mean you’re not getting your money’s worth! Tender, juicy meat with soft, melty fat… and those perfect burnt pieces off the ends to finish it all off. Heaven! These guys know how to make meat perfect, and don’t forget some mac & cheese on the side. Prices vary depending on your order, but it’s good value for money for such high quality. Brooklyn’s amazing, but even if it wasn’t, it’d still be worth going to just to get your pie fix from these guys. They have a sweet little pie shop on a street corner, with a chalkboard hanging over the counter announcing the day’s offerings (around USD$6.00 per slice), and REAL tea and coffee to go with it! This is the bagel dreams are made of, in whatever combination you decide on. 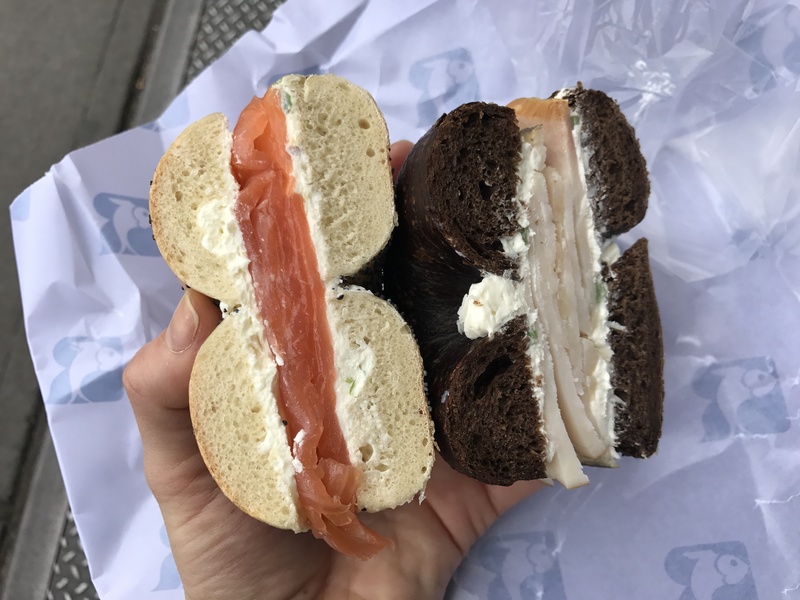 I can’t go past the scallion cream cheese, and while it’s damn near impossible to narrow down the fish, I’d strongly recommend the cured Scottish salmon and the smoked sable. Prices vary depending on your fish, but they’re kind enough to slice off a bit for you to taste before you commit. Two NYC stalwarts, two great dogs. From Papaya King you’ll be wanting the two hot dogs with sauerkraut & mustard and a papaya drink combo. I wasn’t sold on the papaya juice drink with a hot dog, but its actually a weirdly good combination! And at Nathan’s, you just want a dog with a little ketchup and mustard. Amazing! I’m a big fan of Alice, so I was stoked to find this wasnt a completely tacky themed cafe. They do breakfast and lunch, too, but I was there for tea and sweets. You can get a large pot (6 cups) of tea with two scones of your choice (they have a rotating selection daily) for USD$20.00, and they’ve cleverly switched to a tip-included-in-the-price system to make things even easier. Selecting you tea is the hard part, with dozens to choose from – I like the Mauritius black tea with a hint of vanilla, and of course their signature Alice’s tea; you can also purchase any tea from their menu to take home! It doesn’t really matter where you get it from or what’s in it, the whole walk up 5th Avenue to Sunset Park is lined with these little delis. 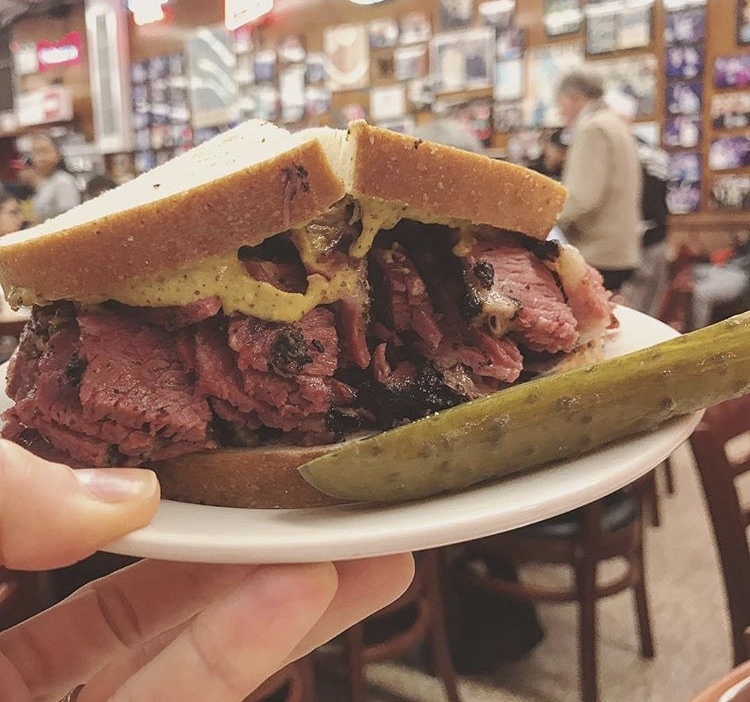 It’s a bit of a climb to the top of the park, so grab some sandwiches on fresh bread piled high with just-sliced deli meats for a picnic in a spot that overlooks the Manhattan skyline. Let’s be honest; where there’s a Chinatown, there’s good food. And New York’s is no different. Get yourself over there and just start walking. It’s just like being in Asia, which means the menus are often difficult to decipher, and there are more options than you’ll know what to do with. And, it’s cheap. Enjoy! Because how can you possibly go to New York without trying the namesake cheesecake?! You can get a little personal one for yourself (USD$5.00), or a nice big one to share (or, for yourself, no judgement), and in all sorts of flavours as well as the original. We live in a time where sugar’s been proven to be more addictive than crack anyway, so may as well skip the drugs and go right for the sweet stuff! 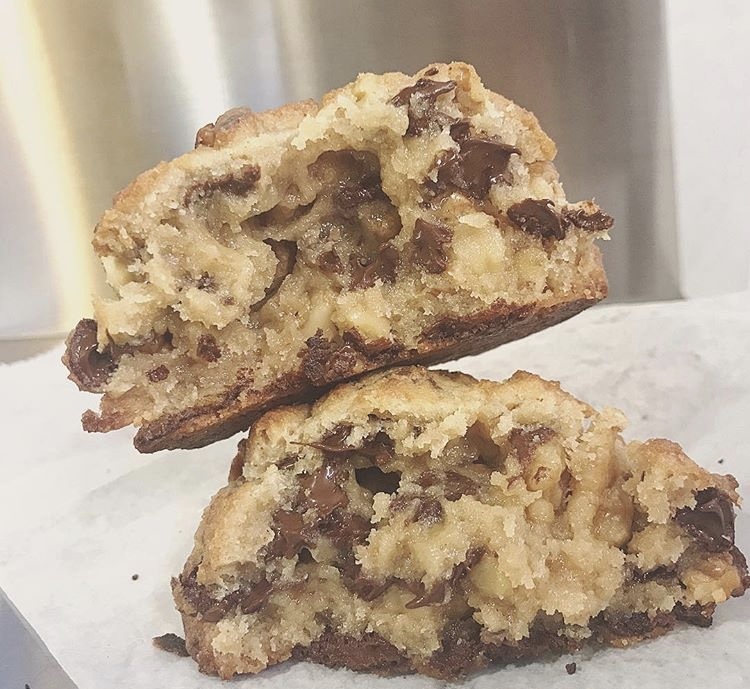 The pie is basically pure butter and sugar, and the truffles are sugar with sprinkles, but they taste so damn good you just can’t help yourself! Soft, airy, pillowy balls of dough, fried to golden perfection and filed with silky smooth custard. Off you go. There’s a whole basement full of food here, from vegan sushi to Aussie sausage rolls, herbal teas to artisan pastries, pizza slices to microbrew beer. If you can’t find something here you like, there’s something wrong with you! They say necessity is the mother of invention, and a gap in the market for halal food in NYC led to one of the city’s greatest creations in the Halal Guys. The meat (served street side from a cart) is probably better than any you’ve had in a restaurant, and starting at around USD$8.00 for a platter, you won’t even need dinner later! 15. Burgers! Fancy ones from Five Napkins, simple ones from Shake Shack. I’m a real burger lover, and my two NYC favourites fall on both ends of the spectrum. For something a bit fancier, try the Original 5 Napkin with gruyere and caramelised onions (around USD$17.00), and for a quick and cheap option, get yourself a ShackBurger for just USD$6.00. Both amazing. Just get both. 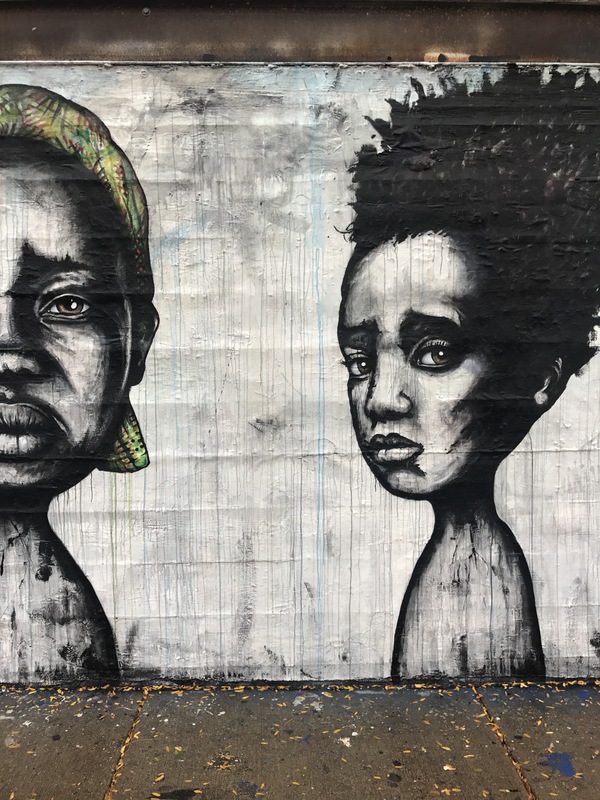 Arriving back into Chicago again was exciting, and a big contributor to that excitement was a small billboard I saw on the train from the airport into the city; it was letting me know that 2017 was the Year of Public Art in Chicago = a whooole lot of street art to be found around the city! Mayor Rahm Emanuel and the Chicago Department of Cultural Affairs and Special Events (DCASE) have designated 2017 the “Year of Public Art” with a new 50×50 Neighborhood Arts Project, the creation of a Public Art Youth Corps, a new Public Art Festival, exhibitions, performances, tours and more — representing a $1.5 million investment in artist-led community projects. There were some incredible pieces scattered around, and I’ve added a few of my favourites below, but they’re helpfully created a few hashtags for you to follow if you’d like to see some more – follow #2017isYOPA or #ChiPublicArt for all of the art work! We thought we’d treat ourselves on our last day in New Orleans, and visit one of the city’s classic restaurants. Unfortunately, it’s not an easy task to pick one… Brennan’s, Commander’s Palace, Emeril’s, Arnaud’s, how are you meant to choose?! One of three private dining rooms named after and set aside for some of the city’s biggest Mardi Gras krewes. The walls show off photos and memorabilia from past parades, and the rooms welcome their krewes for private dining events. Another krewe room, with more photos of the queens of Mardi Gras gracing the walls. Located right at the end of this corridor, the Mystery Room served the locals well in the era of prohibition. The floors were covered in saw dust, so when the authorities came bursting in, the revellers would pour their drinks onto the floor and kick up the dust. And the name? This beautiful room was presumably green at some stage, what with it’s name. Today, it’s a stunning white and cream, with a big regal chandelier and enormous framed mirror. The enormous windows let in a heap of natural light, and also open up onto a balcony overlooking the street below. You can read more about the history of Antoine’s here, otherwise if you’re visiting the city, book a table for a delicious meal and take a tour of the place yourself! Yosemite is a beautiful park, and the big drawcard sights are every bit as impressive as you think they’ll be. 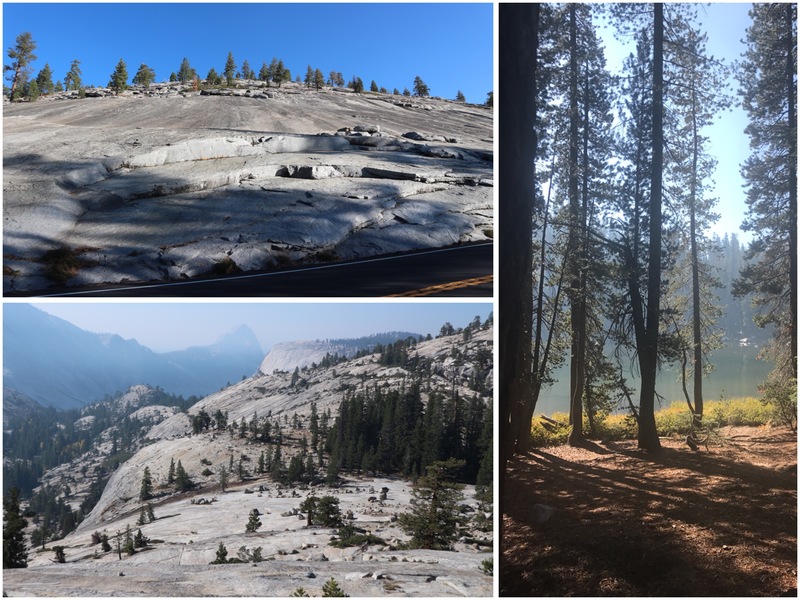 The Half Dome and El Capitan are imposingly gorgeous, and the little museum and cemetery are well worth the look, too, and I’ll certainly get to those. 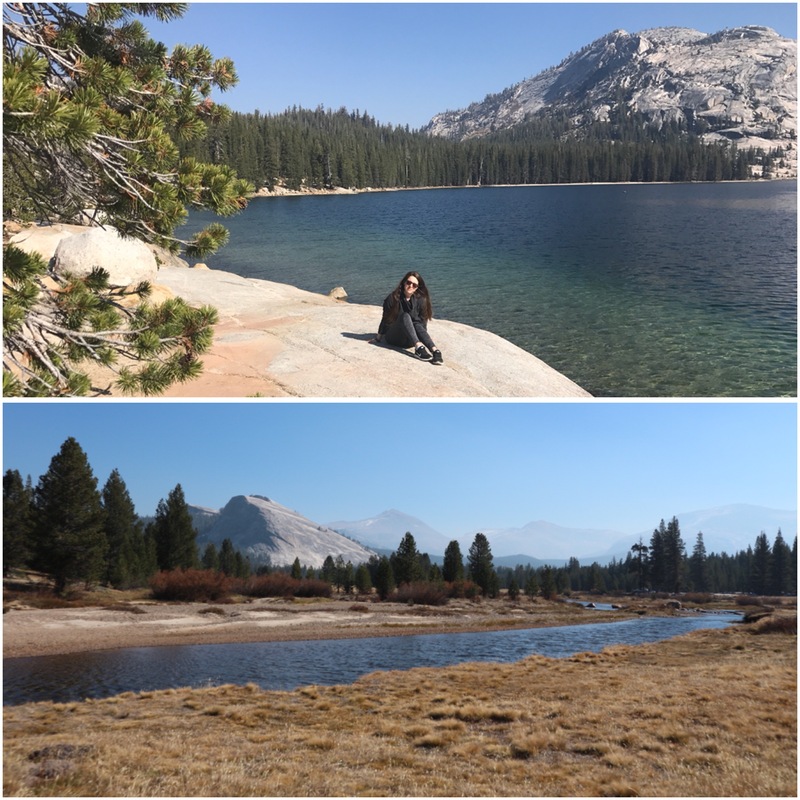 But everyone goes to the Yosemite Valley to see those, so after a day there, we thought we’d take the path less travelled and drive the Tioga Pass Road and see what the other side of the park had to offer. 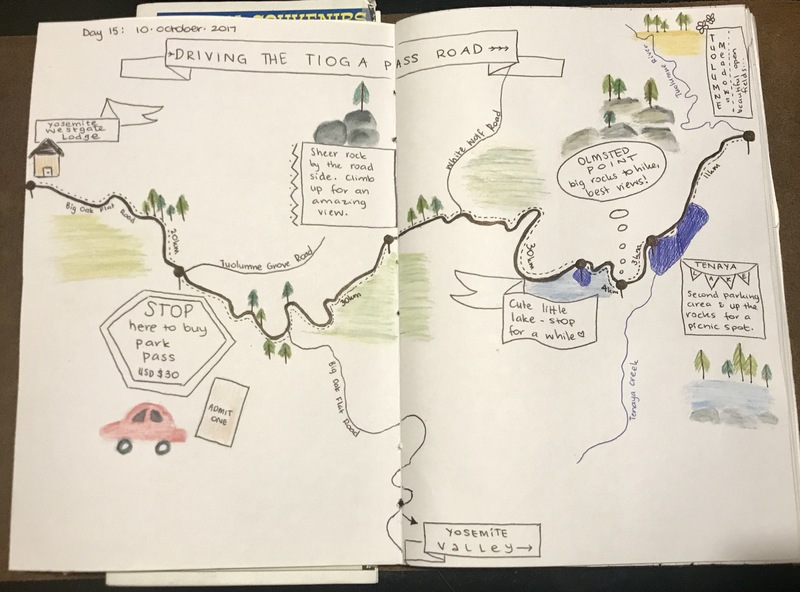 It’s a truly delightful drive, and so easy to do by yourself. We did this drive, with all our stops, in about 5 hours – if you’re a hiker, though, leave more time than that! This was the entrance closest to our accommodation, so if you’re planning to stay in the same spot, just roll on up, pay your USD$30 for a week’s visit, take your pass, and roll on through! Keep your receipt, because you’ll need to show it again on your way out. This really took us by surprise; we pulled over so I could take a photo, and ended up scrambling up the rocks a way, just because we could! Fantastic view, several squirrels, and fun to be crawling around out there! Be careful pulling over because there isn’t a carpark, just a little space on the side of the road. I don’t know what it’s called, but this adorable little lake just comes out of nowhere, and there was no one else around so we had it all to ourselves! There’s a little inlet to pull your car in, then take the faint path leading down to the water. Holy wow this place was incredible! Plenty of space to park your car, and a few trails if you want to hike! Take the path marked about 300m to the viewpoint, and find yourself basically at the top of the world, surrounded by granite and pines. This place is perfection.. the water is so clear you can see straight to the bottom, and the rocks are high and flat enough to picnic on, which we did. There were a few cars about, but still few enough that we could pick a spot on the water to relax on our own. This was the highest point of our day trip, at an elevation of just over 8500 feet. A big, flat, wide open meadow, with the river running through it. Again, lots of parking available, but such a big area that we didn’t see anyone else around until we were walking back to the car. This trip is testing me in a lot of ways. It’s testing my patience, obviously, which is a difficult necessity. I’m not a patient person. I am insanely introverted by nature. But travelling forces me to connect, to talk to strangers, to put on a happy & friendly front, even when I just can’t be f—-d with anyone. It’s also testing my ability to adapt. I hate change, I struggle being away from a routine, so again, I’m learning and growing, I guess. I need to learn and grow more. Just a quick one today, because I’ve been sick with the flu, and re-reading On The Road while I’ve been couch bound… Also just finished Wish You Were Here, and have a book review, interview with Sheridan and book giveaway coming next week! From there, I quickly spotted the Beat Museum, then Jack Kerouac Alley in the other direction; Vesuvio Cafe, one of Kerouac’s favourite haunts, lives on the corner. Down the alley and welcome to Chinatown! Like all Chinatowns, it’s manic, full of smells, illegible signs, all that jazz.